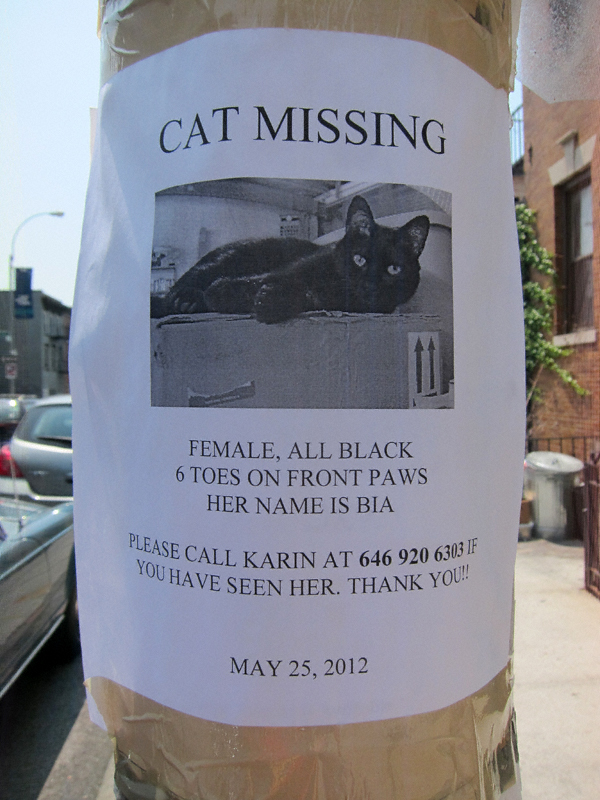 I spied this flyer today on Wythe Avenue between North 8th and North 7th Street. If you have seen Bia (who sports a couple extra digits) or know of her whereabouts please contact her person at the above-listed telephone number. Thanks!